Today marks the three year anniversary of my heart attack scare. I seriously thought my time was up. Fortunately, it wasn't cardiac arrest, and once everything settled, I took my dog for a walk around the block. The rest is history. 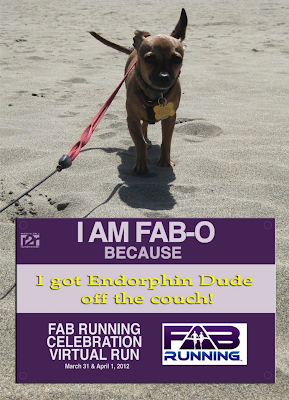 For part two of the FAB Running Celebration Virtual Run, I took my dog for a walk around that block. I couldn't help but smile. I like to take this time to thank you all for following my journey and keeping me motivated to stay healthy. There is no telling what my life would be like today had I not gone for that walk around that block with my dog three years ago. I heart you very much Chewbacca!